Approximately fifty percent of all search queries are made on mobile devices, but very few landing pages are properly tailored to convert mobile users. When this occurs, mobile viewers have a poor experience that will impact the success of your overall campaign. For instance, when mobile visitors bounce due to a poor landing page experience, it will decrease your overall campaign performance. Therefore, even if your best leads come from desktop and you do not care about mobile, the performance will still adversely impact its success. 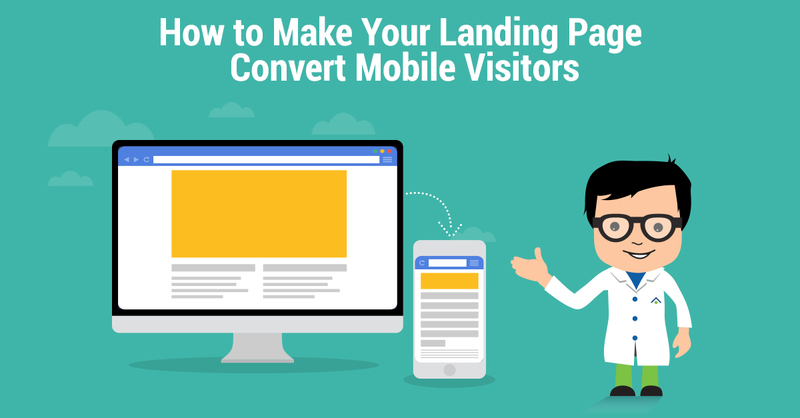 This article will provide some insight about how you can create a separate landing page for mobile devices that will increase conversions more effectively. 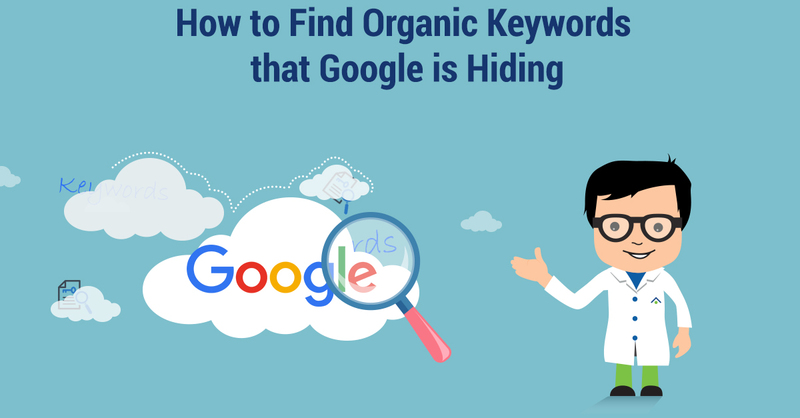 For the sake of simplicity and instruction, this article focuses on setting up landing pages on Google AdWords. 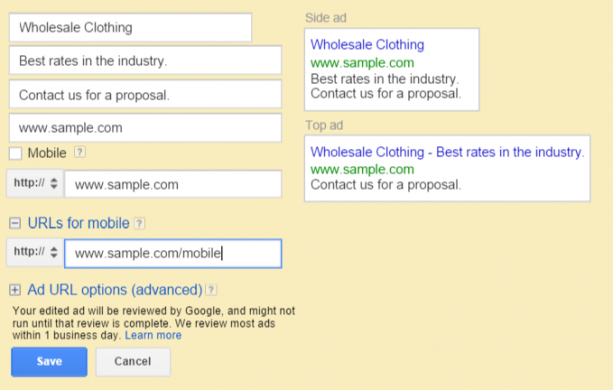 The snippet below provides the advertisement set-up on Google AdWords, which many of you will be very familiar with. AdWords provides two options that will enable you to better manage mobile traffic. The first is having the ability to create separate URLs for mobile visitors. The example below utilizes a dropdown option that will direct users on mobile devices to a separate URL. The second option for your website is to create an entirely different advertisement and URL for mobile devices. By selecting the option for mobile websites, you may create an entirely separate advertisement and landing page that only targets mobile visitors. In this case, you may want to separate split-test the advertisement copy for mobile visitors and use separate calls-to-action. For instance, conveniently providing your phone number using a click to call rather than requesting a contact form submission. The screenshot below provides a sample of the separate mobile visitor option. Google AdWords will automatically display the advertisement on the phone in order to provide a sample of the output display. The first phase is to consider scrapping your desktop website for mobile use entirely, or restructuring your existing landing page to have better mobile functionality. You can see that the sample below provides a very basic attention grabbing headline followed by a contact form and explainer video. Users on mobile are less likely to read large amounts of text that those on a desktop computer may be inclined to review. The sample below has minimal text that is replaced with converting mobile users with minimal effort. 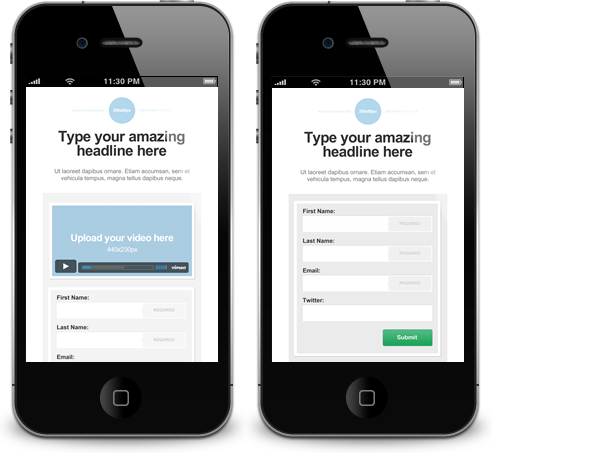 When forming a call-to-action for mobile landing pages, it is most advantageous if you simplify the user engagement as much as possible. For instance, minimizing the amount of fields on a contact form by providing a straightforward click-to-call option. There is often a tradeoff between the number of fields that users enter and the conversion rate level. Therefore, you should consider trading off some contact information that may not be needed in order to test for higher conversion rates. When developing your mobile landing pages, be sure to test them on multiple devices and browsers. There are several websites that enable these tests to be performed, but the most effective method will always be to have access to each device. We certainly expect that your company is actively analyzing website user data and performing split-testing for conversion optimization. If this is not being performed, you should setup a campaign to perform this analysis. You may run separate campaigns for your mobile visitors by placing the Google Analytics experiments code script, or preferred split-testing script, directly on your mobile landing pages. Separating these pages may also encourage you to set separate goals for mobile devices as well. For instance, you may be more concerned with receiving a call than a contact form submission or the completion of a video rather than time on site. Some split-tests may not prove to make a substantial difference, but in other cases, a winner can make itself clear within less than fifty individual sessions. In the example above, testing the average session duration, two similar variations out of a total of five substantially outperformed all others. The pages also resulted in a much higher conversion rate of contact form submission. 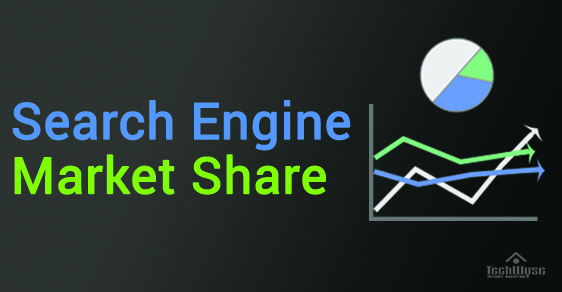 Therefore, it will be very beneficial to your campaign if multiple landing pages are created and individual tests on their performance are performed. The fact that mobile browsing is now mainstream is largely recognized, but very few landing pages have taken the effort to yield to this fact. However, setting-up separate pages for mobile visitors is a very easy exercise. The advantages of doing so can not only directly generate more leads, but may also benefit your desktop campaign if it is being impacted by mobile bounce rates. At our company, we have noticed that a substantial amount of our mobile visitors have experienced higher than average bounce back rates. In order to combat this effort, we made sure that our pages complied with Google’s mobile friendly site test. After our implementation of this, we saw a decrease in bounce-back rates of 12% and an increase in conversions of 7%, which is a substantial improvement. We hope that your company has the opportunity to implement similar mobile modifications for the same results. Thank you for this post. I am new to making landing pages and what exactly I can accomplish using them. I am trying to bring traffic to my website which has indie music and other related videos. How do I design a landing page for this..and is this the right tool to be using to bring traffic to my site.